Dear god... I need to get the fuuck off of this website. ♪1001 bottles of rum hanging on the wall♪... Nothing ever goes on arroud here. Arrrr! Bad ninja!! You allowed yourself to be photographed!!! 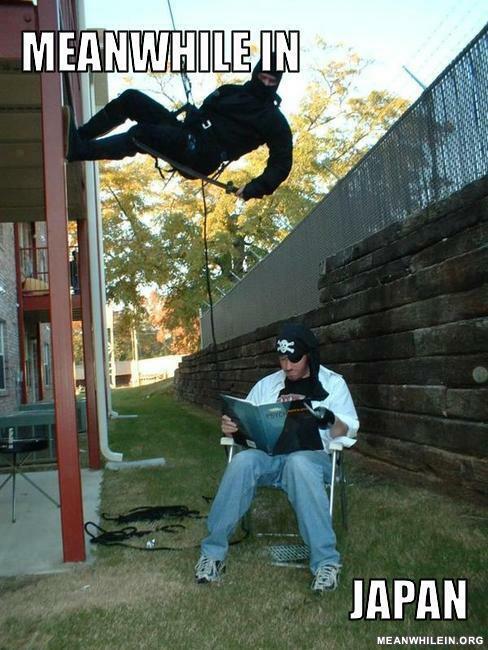 The guy who said "Ninjas dont use rope and grappling hooks": Yes they do.